Hello and welcome. Today I am once again sharing my adventures in felt. I have a lot of adventures in felt! I use felt to make all sorts of cute and practical things. 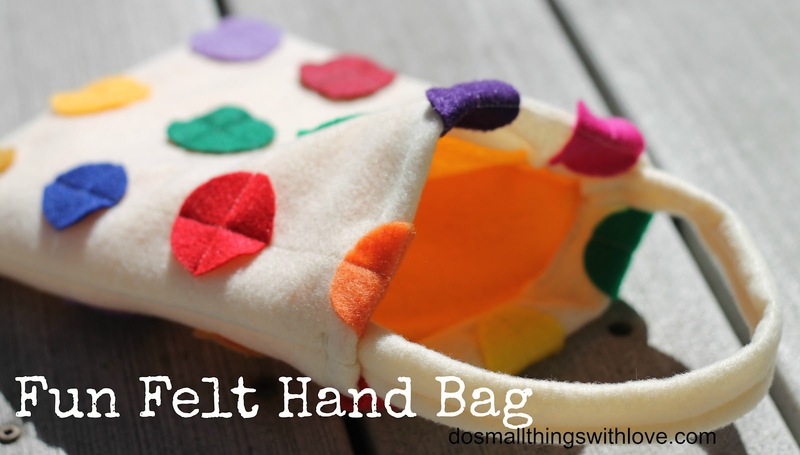 This project, Felt Play Purse, fall squarely in the category of cute, not so much practical. You see, I have the joy of being the mommy to a sweet little one and a half year old girl. Although she likes trucks and trains…and her limited vocabulary includes “car”, “truck” and “tractor” (thanks to her older brother) she is still pretty girly. Isn’t it amazing how girls and boys are just innately different? She loves purses and having her hair done and smiling at the camera and saying “cheese”. 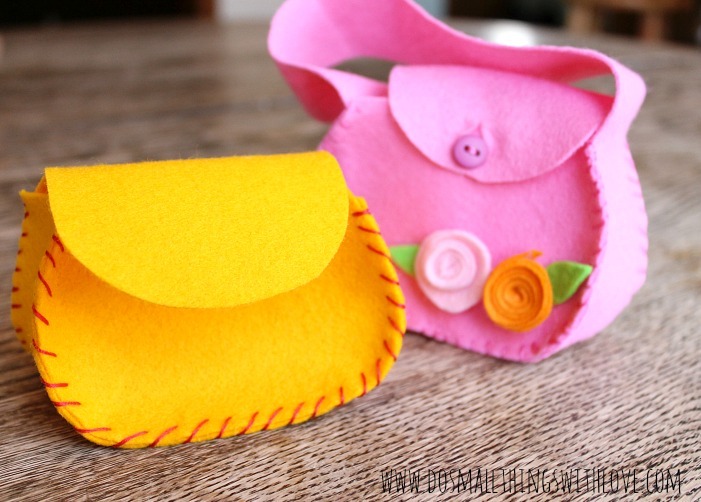 I’m having a lot of fun with a little girl and I made her a few little simple purses just for fun. 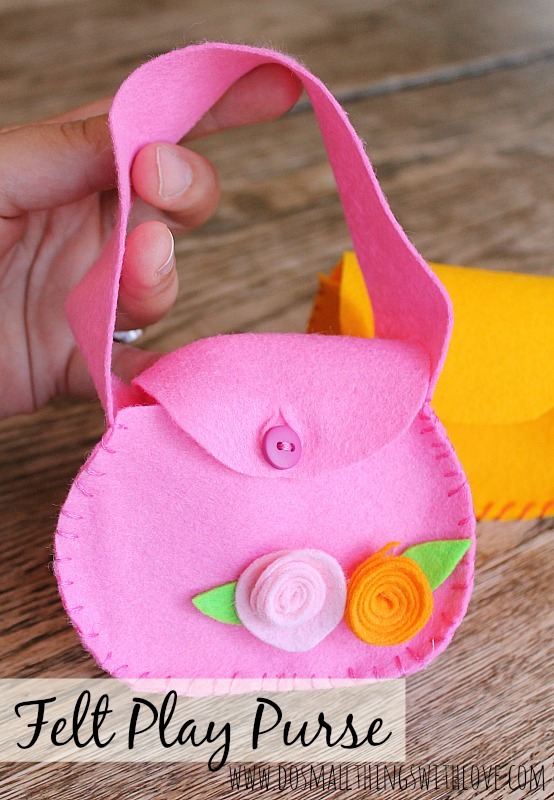 The Felt Play Purse is super easy to make and totally worth it once you see your little girl pick it up and sling it over her shoulder. 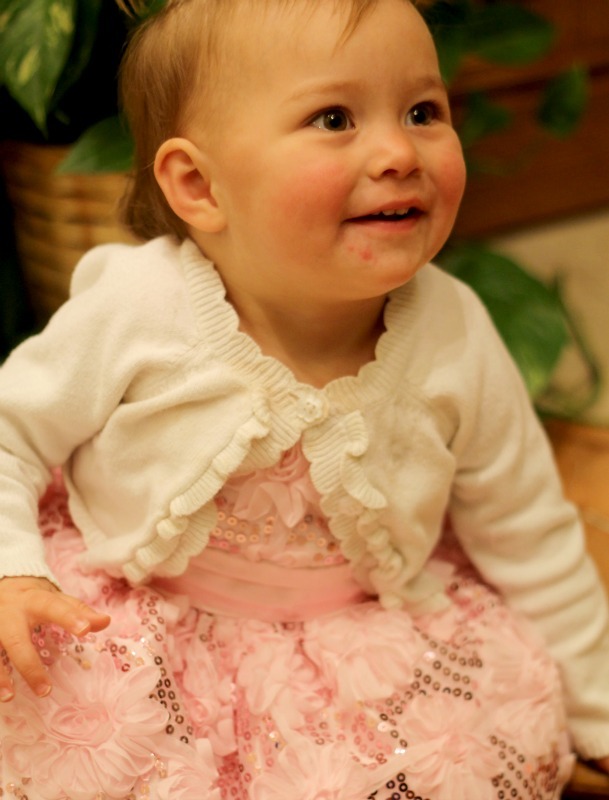 What is it about a sweet little girl in a pink dress?!? 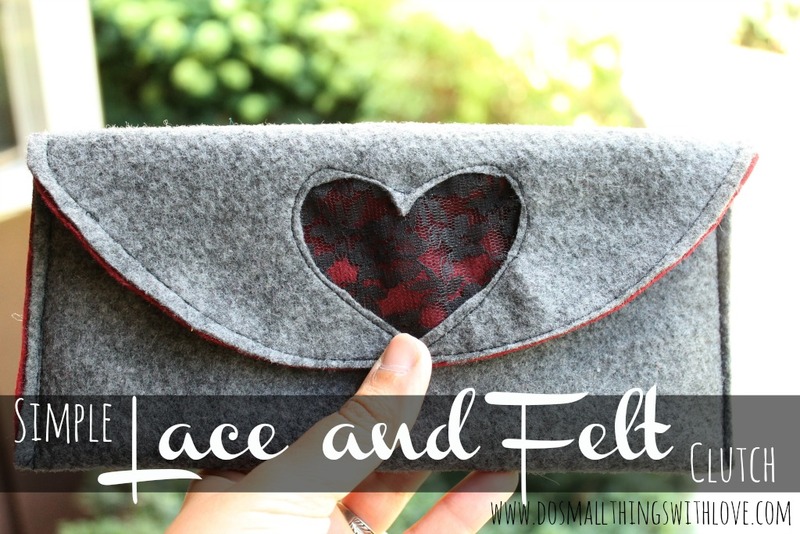 But, although I could just gush about my Bernadette all day, I am going to move onto the Felt Play Purse instructions because I’m sure you too know a little girl that just needs one of these! First things first, below is an image of and a link to the template for this purse. Just click on the link and download the PDF. Print on regular printer paper. Enlarge as desired. I just used the printed template as is without enlarging. Once you have the template printed in the size you’d like, you are just a few short steps from completing this cute project! Cut out the pieces needed: As you can see in the first picture, the best way to get a clean, precise cut when working with felt is to use clear packing tape. 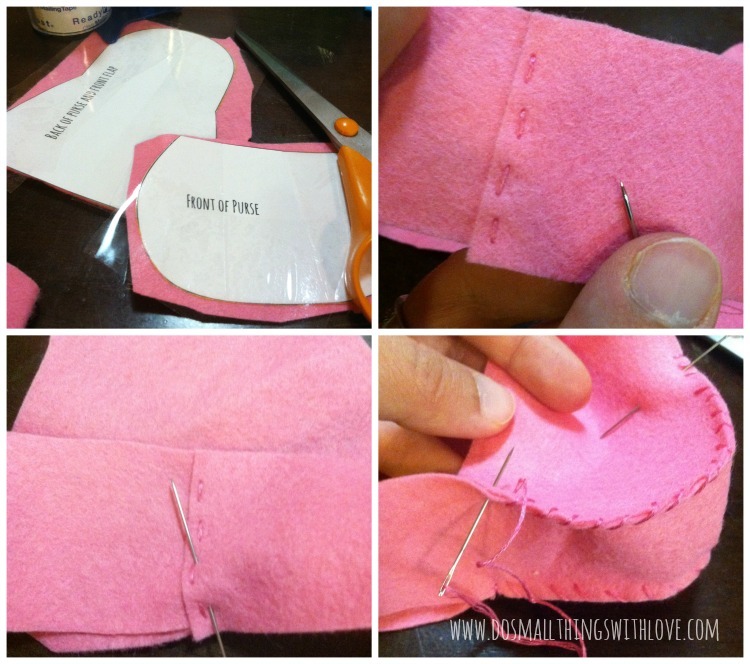 Just tape the template directly to the felt, with the tape on top and cut out. Once you have the pieces cut out, it is time to get stitching. I made two varieties of this purse, one with a strap and one without. For a purse with a strap you will need to cut an additional narrow strip (not included in the template), the width of the narrow part of the bottom piece and stitch that together with the bottom piece as a first step. Next, find the center of the “front of the purse” piece, as well as the center of the strap. Use a straight pin to pin together, as pictured. Then, using a whip stitch, stitch around the outside of the purse, up both sides, stopping at the top of the pocket. Repeat for the back of the purse. 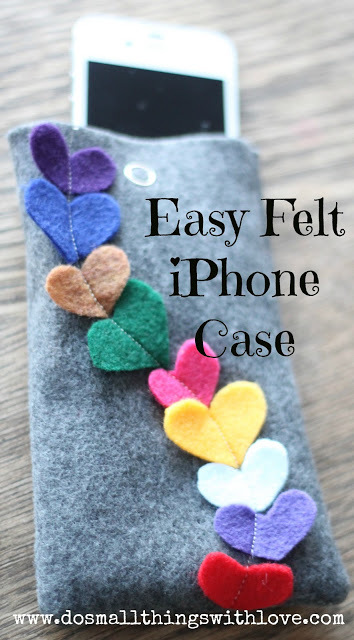 Add a button: Adding a button to felt is easy–it won’t fray! Just sew on a button and cut a hole in the top flap at the appropriate size. 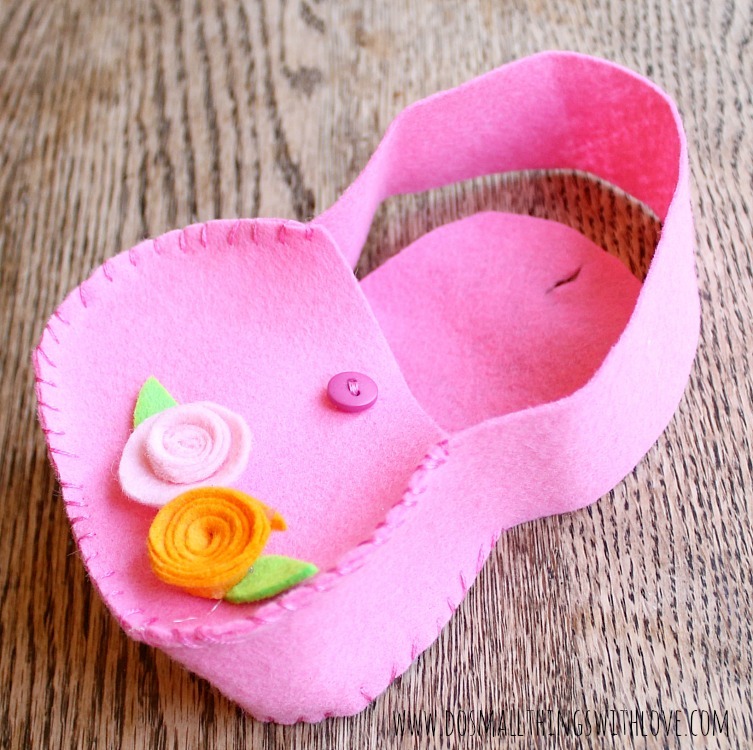 Add embellishment: If you’d like you can really cute-up the purse with some EASY felt flowers. See how to make these flowers here. Ta Da! Just think of all the cute little girly things that can be put in our purse!